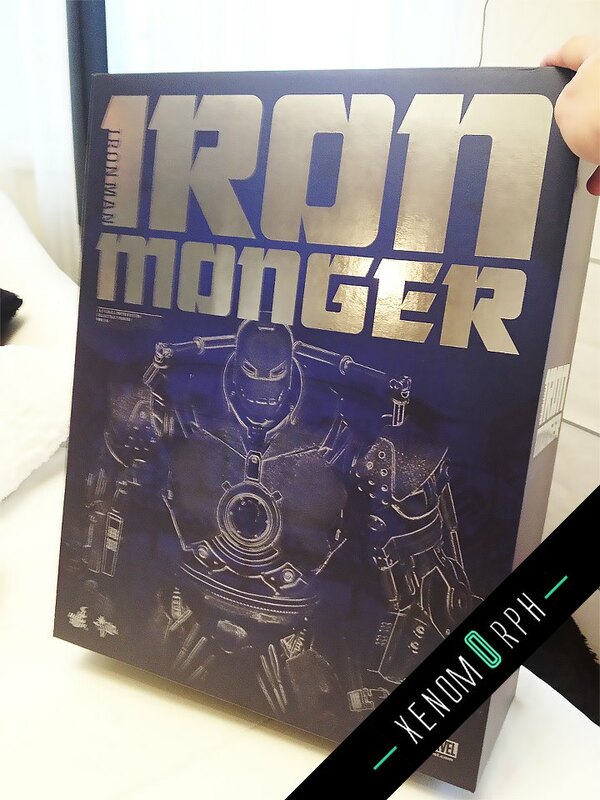 The monger has arrived. 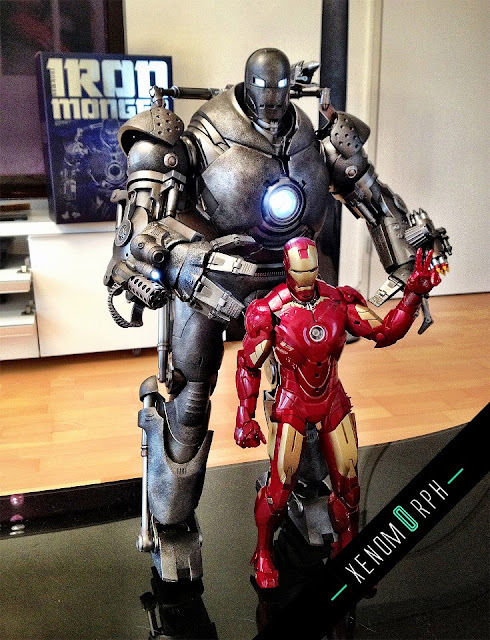 Pre-ordered over a year a go - and finally got it in hand. 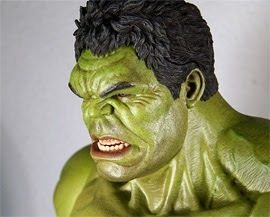 Totally incredible! 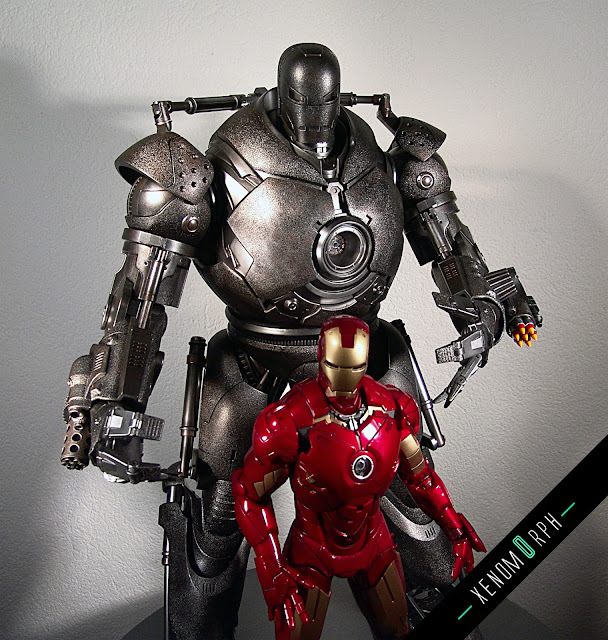 I never had that much fun unboxing and setting up a 1/6 figure. 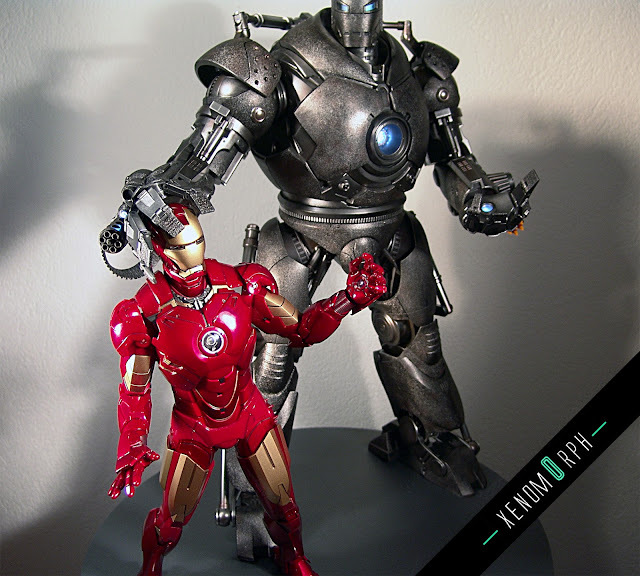 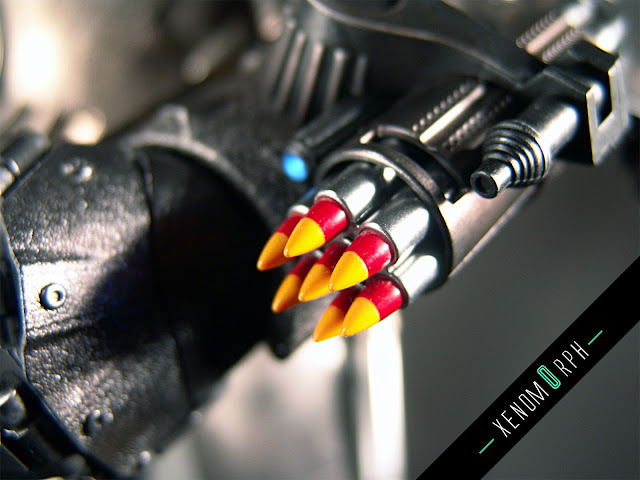 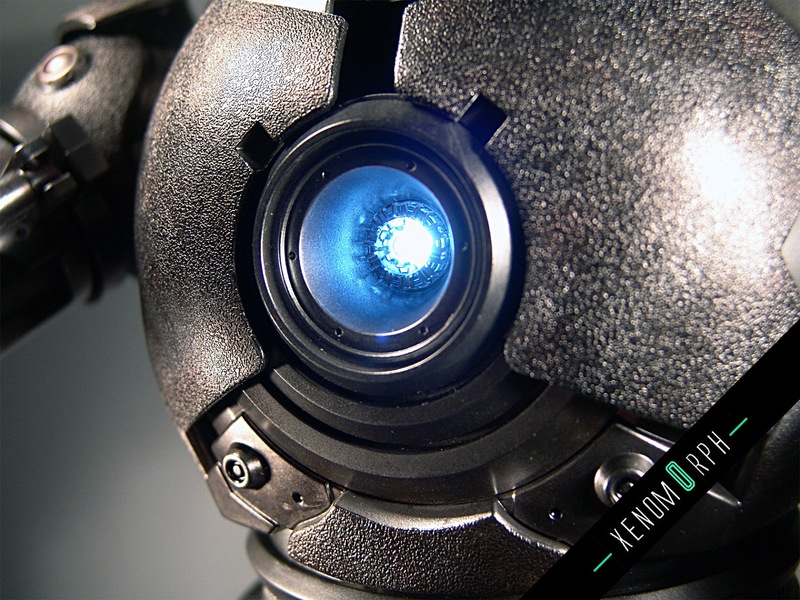 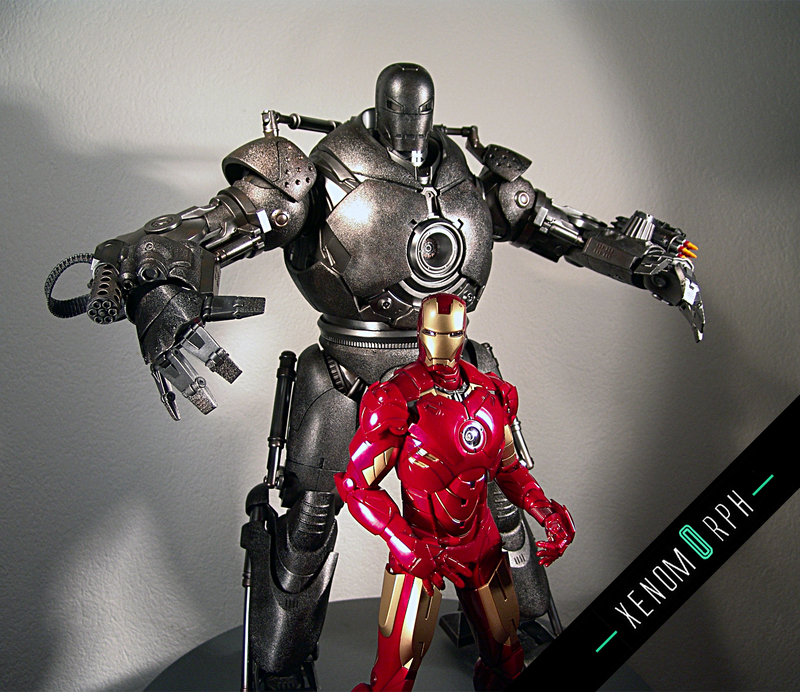 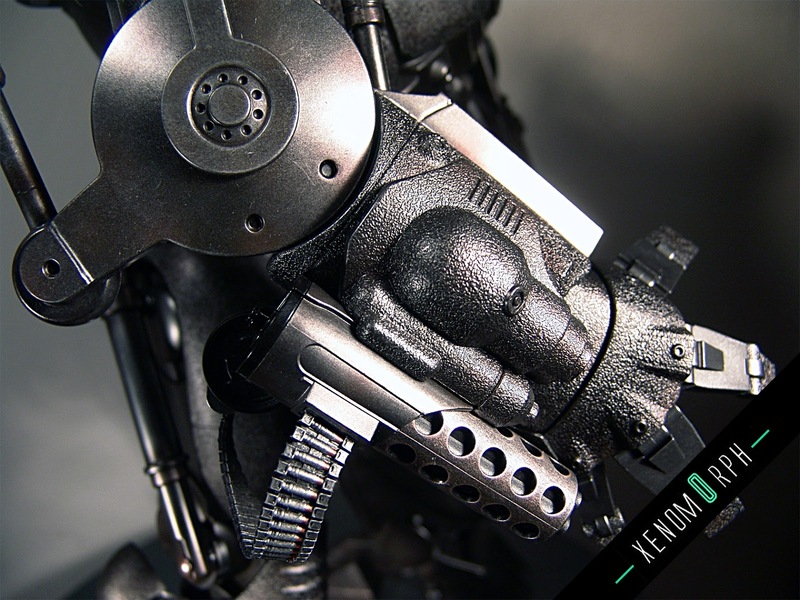 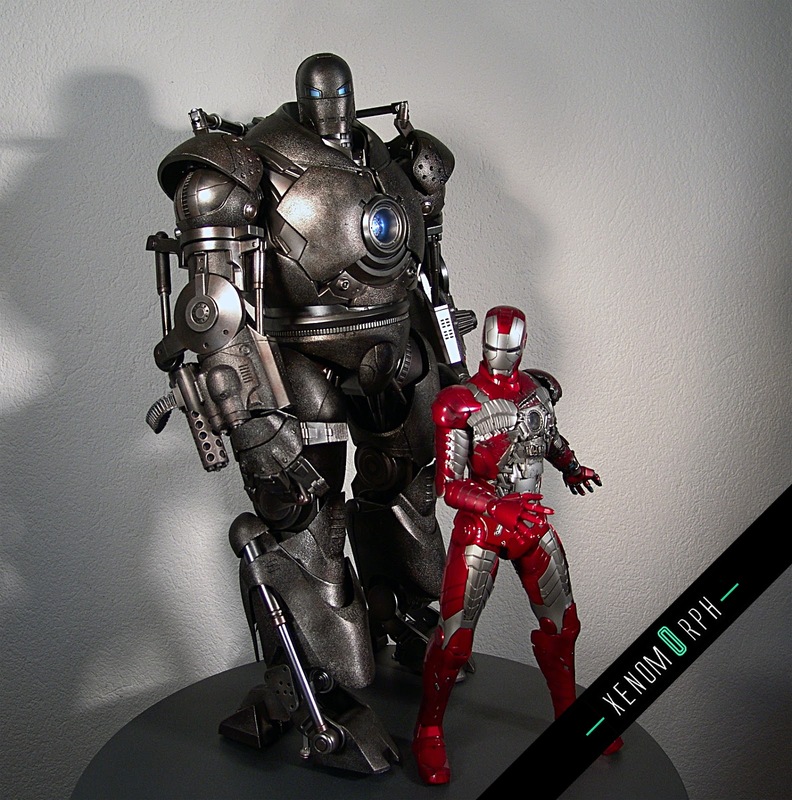 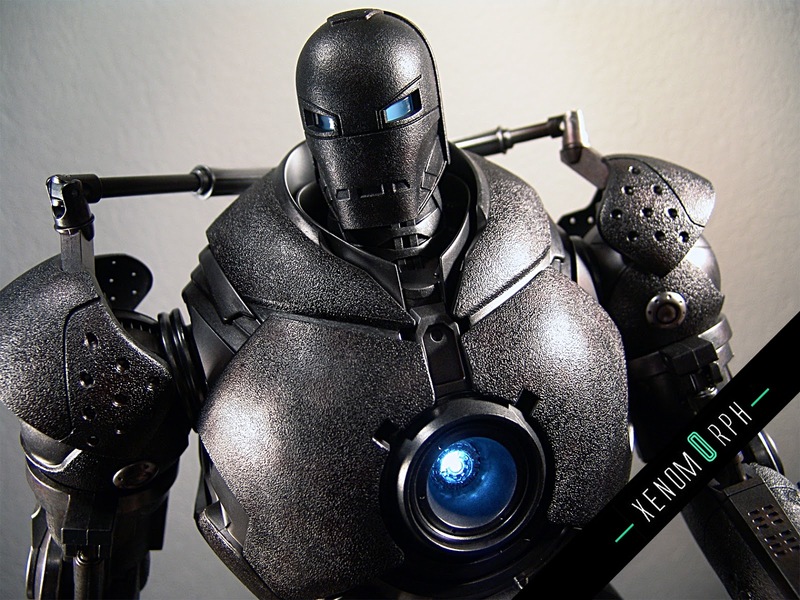 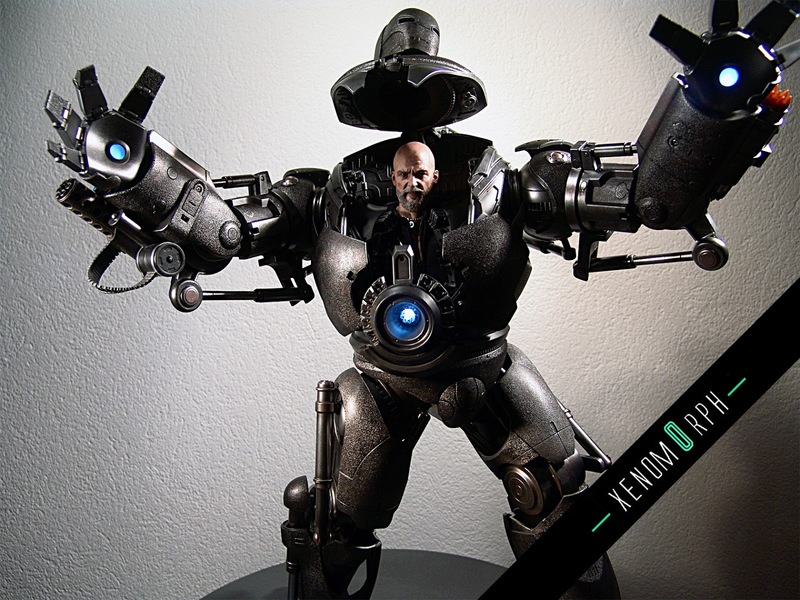 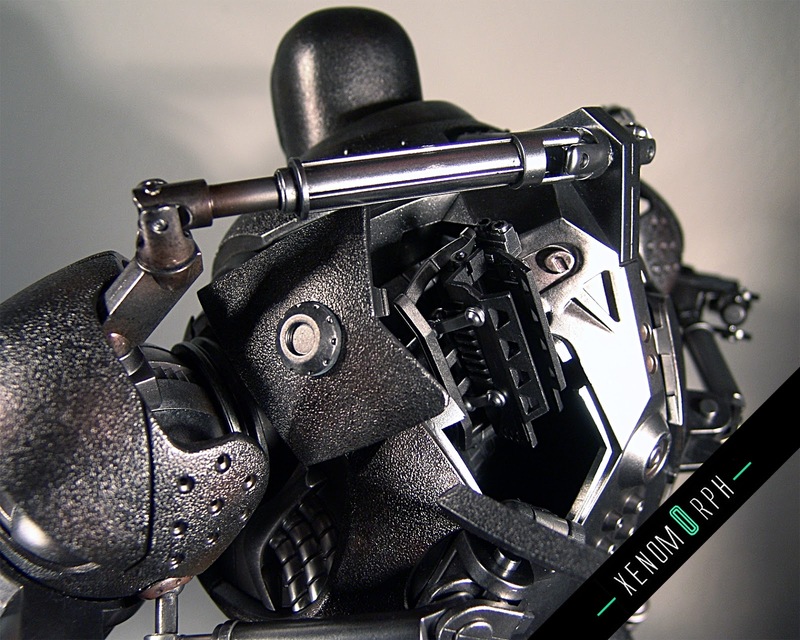 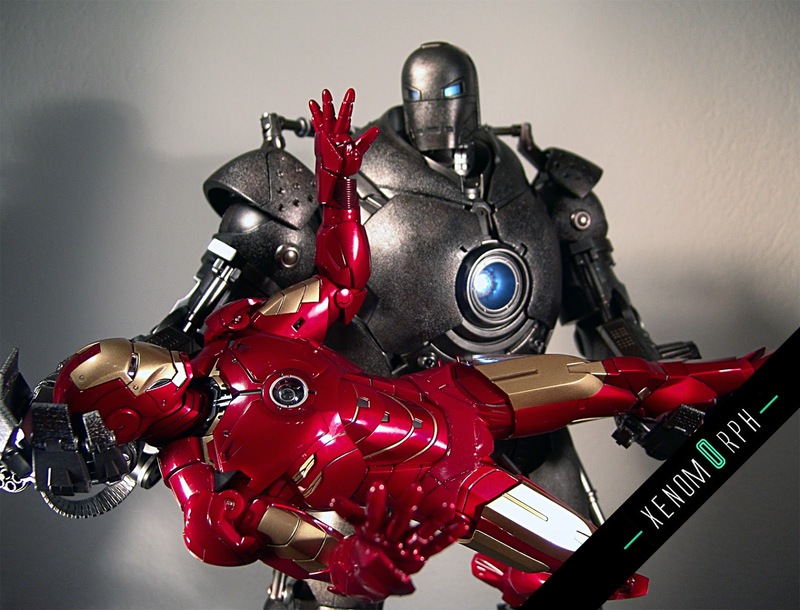 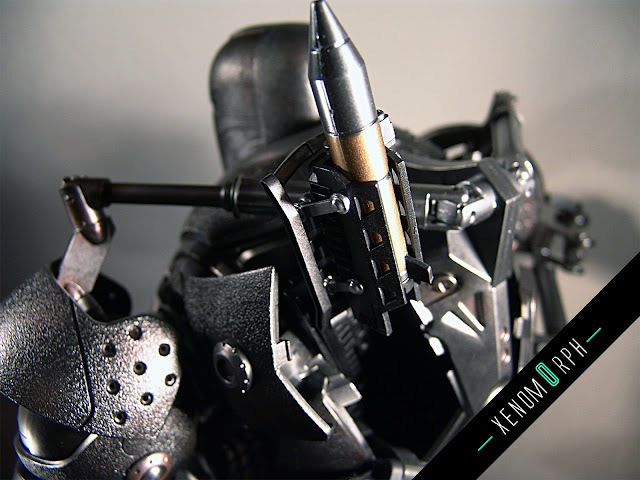 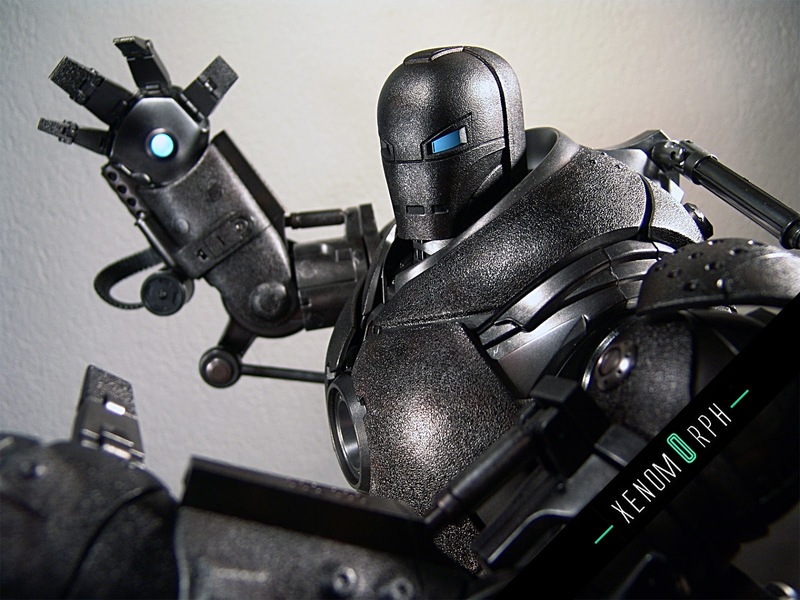 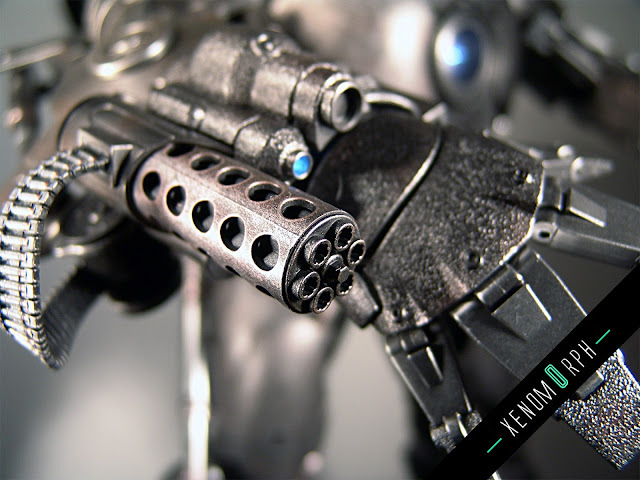 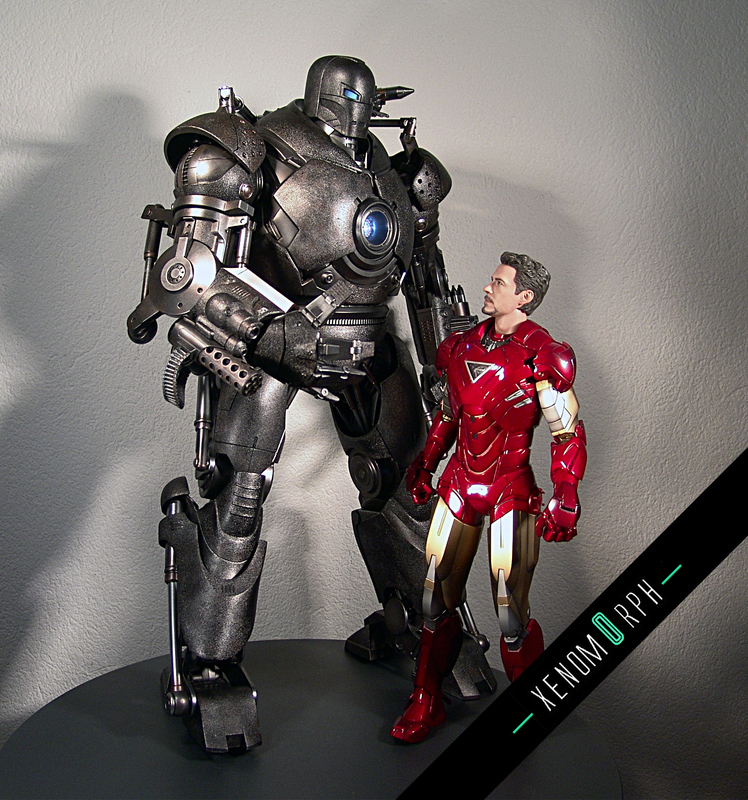 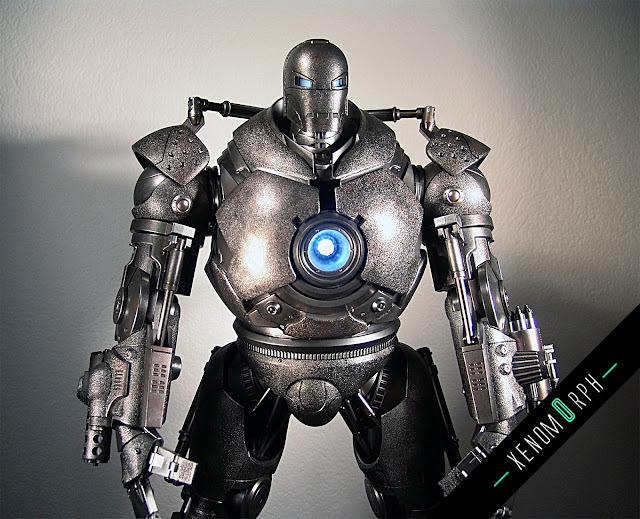 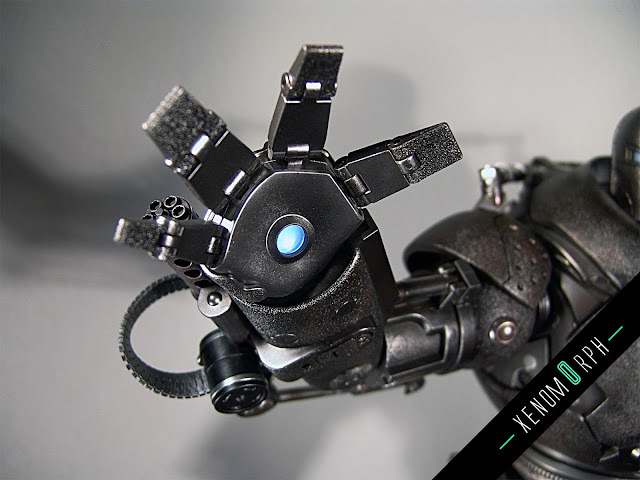 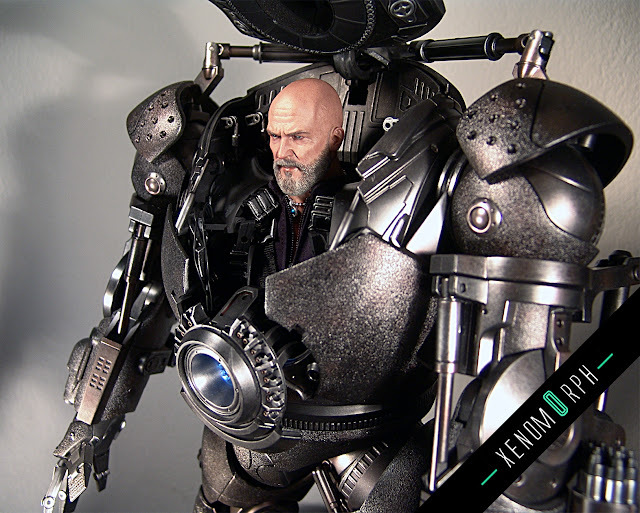 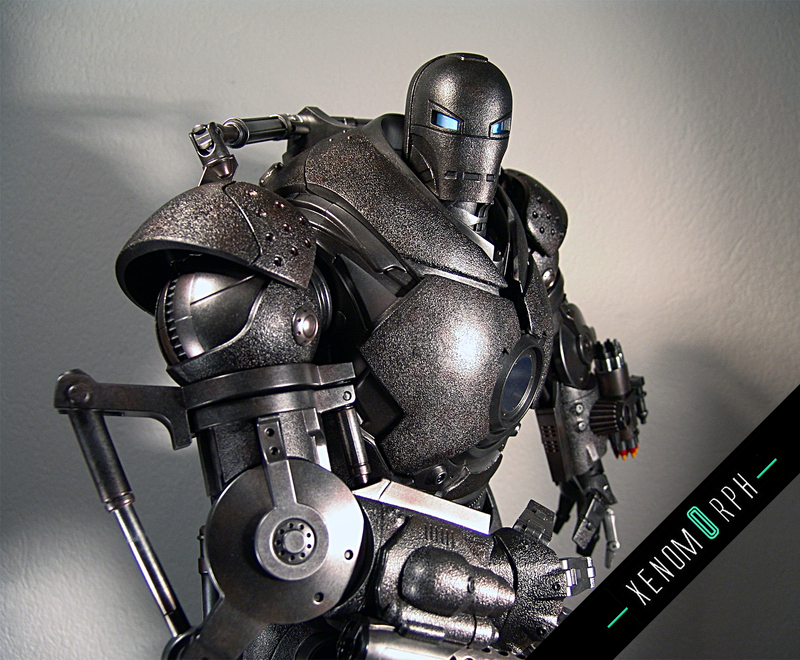 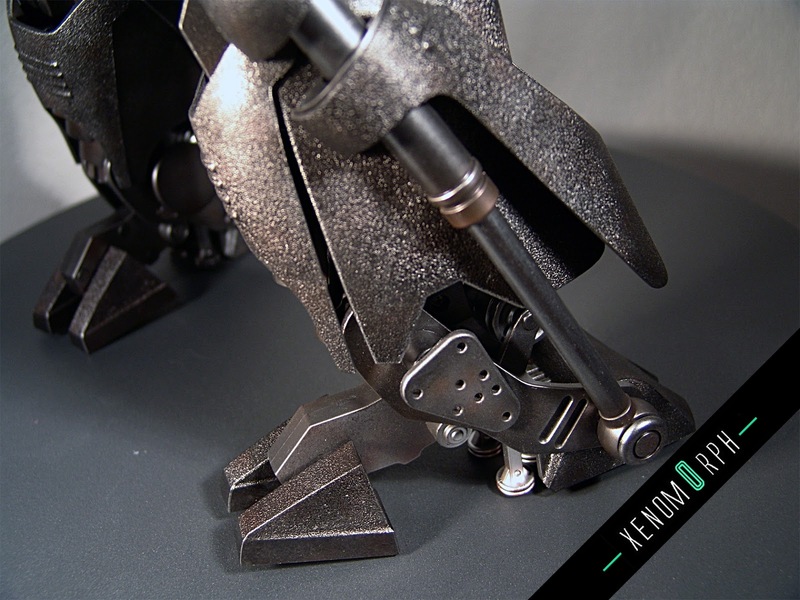 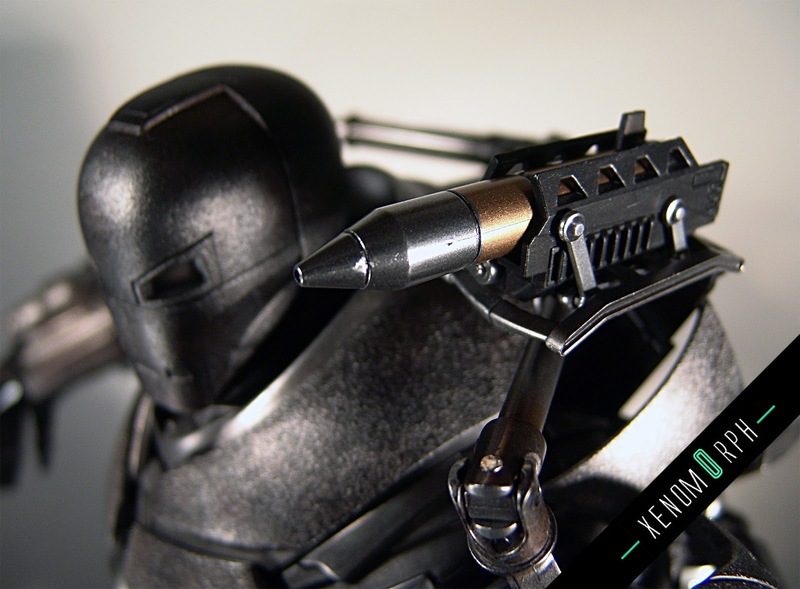 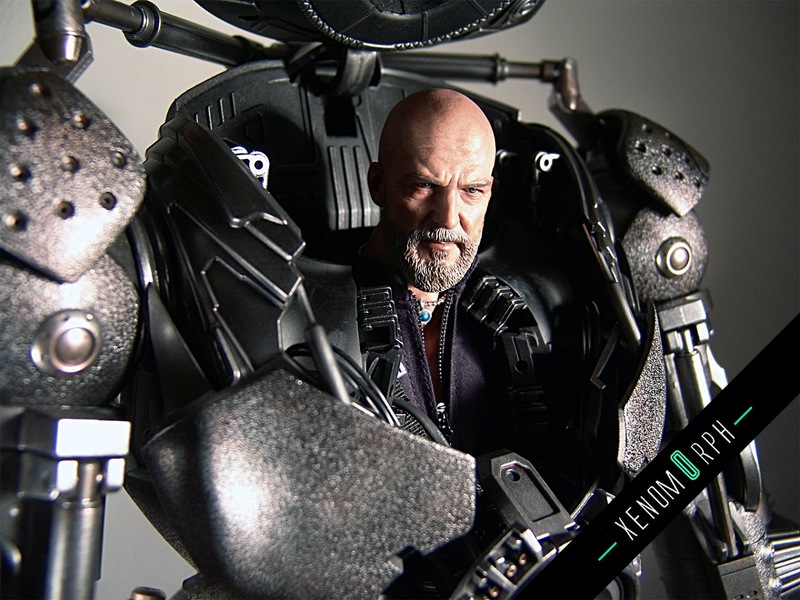 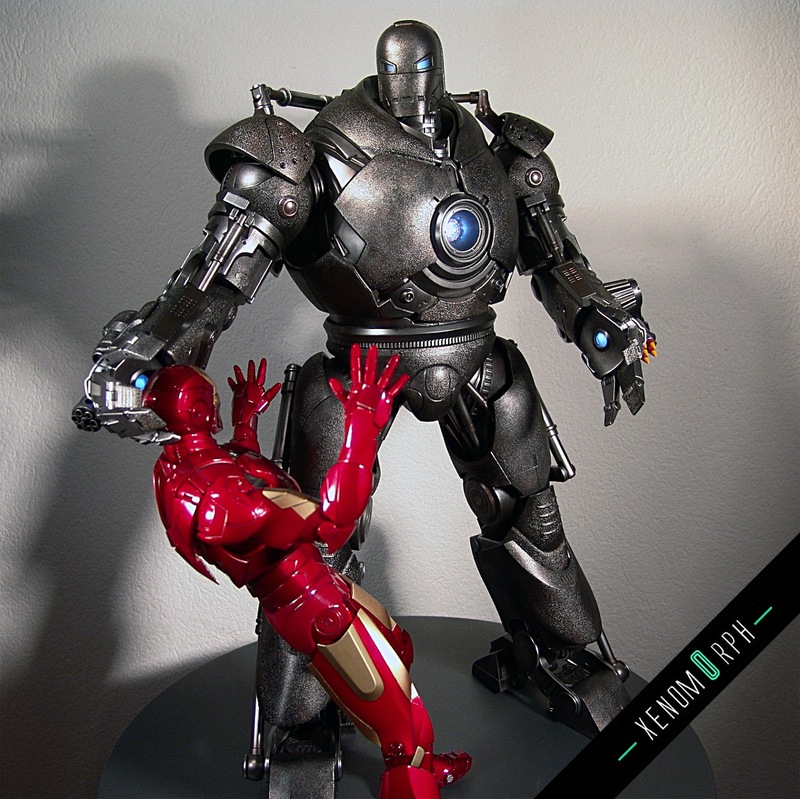 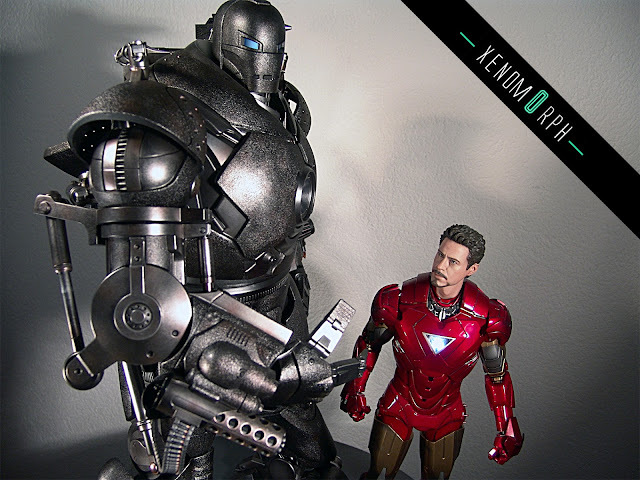 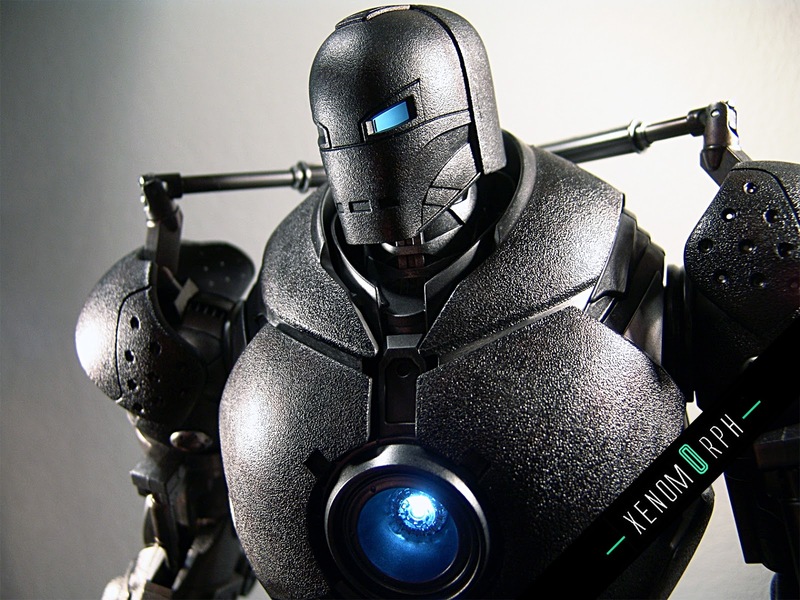 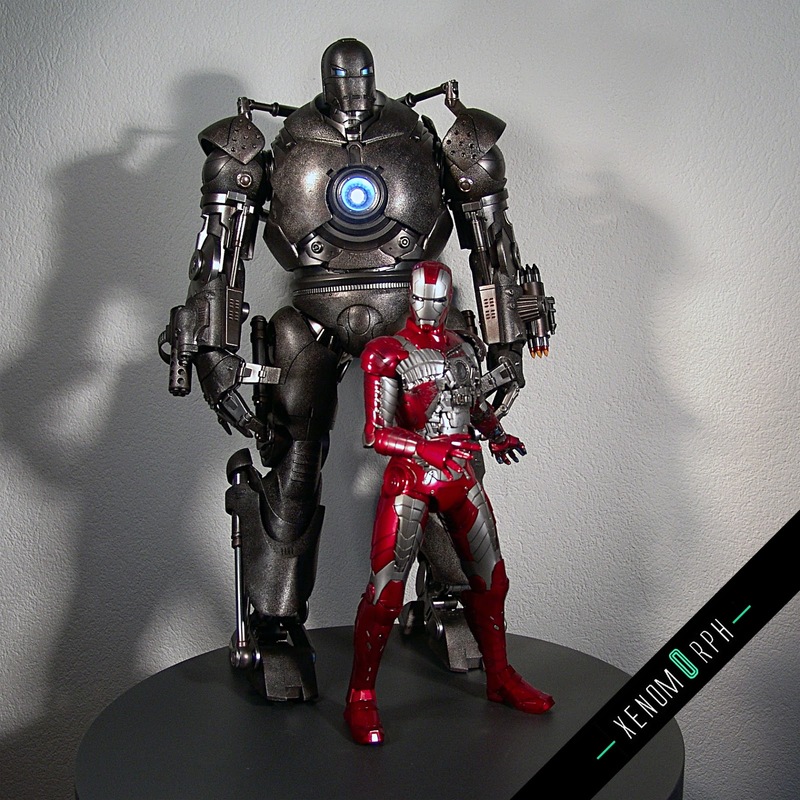 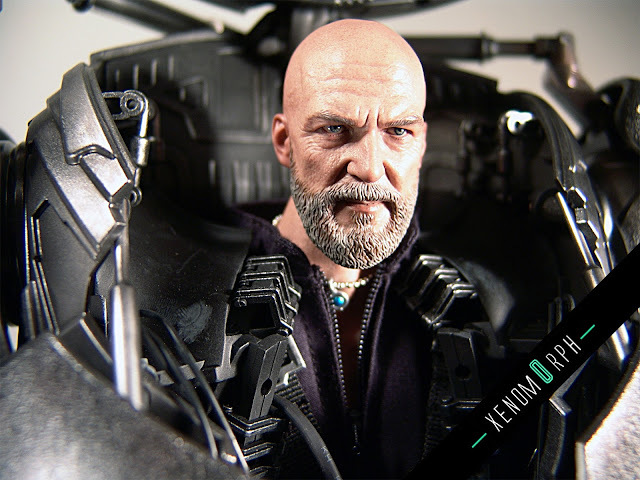 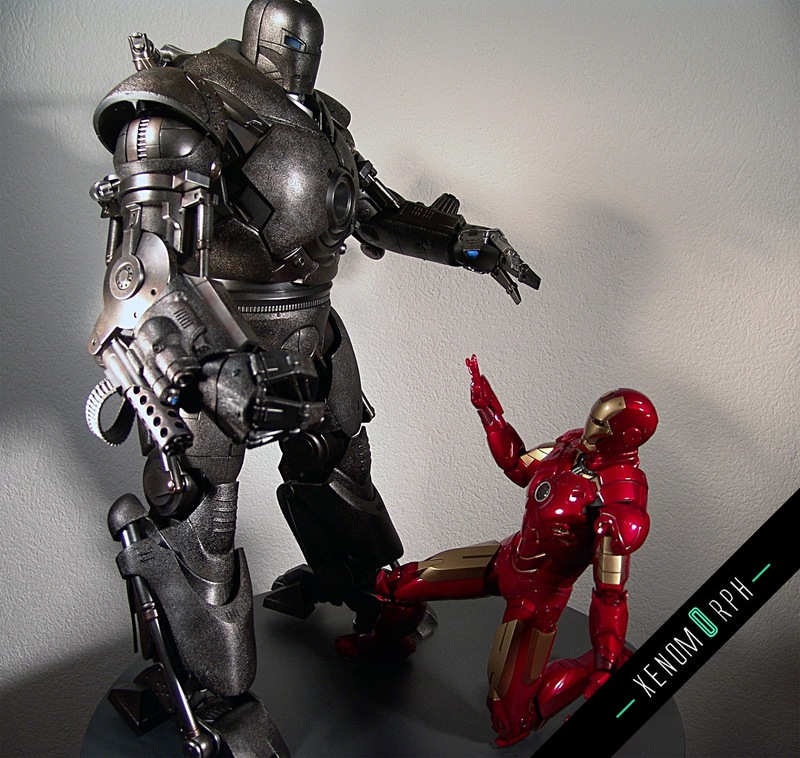 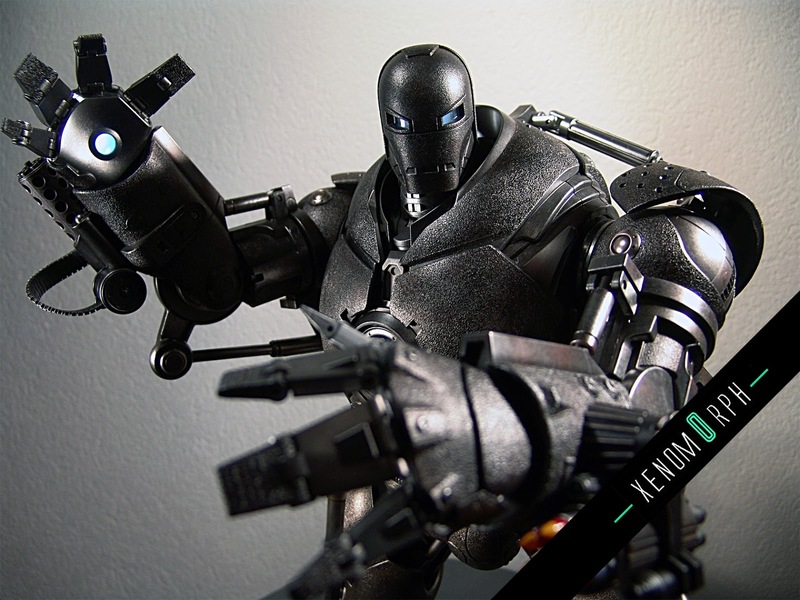 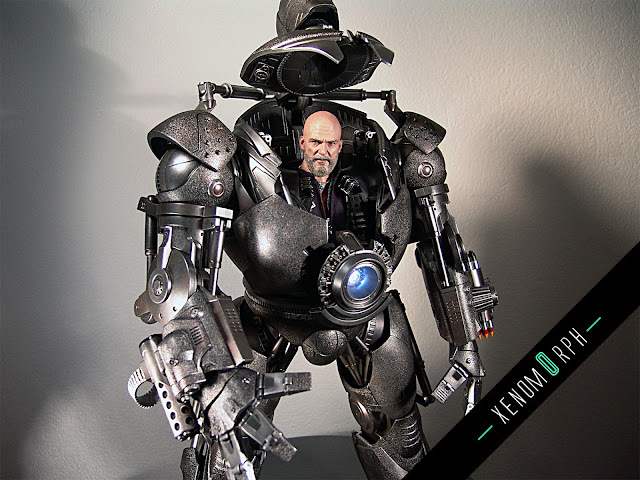 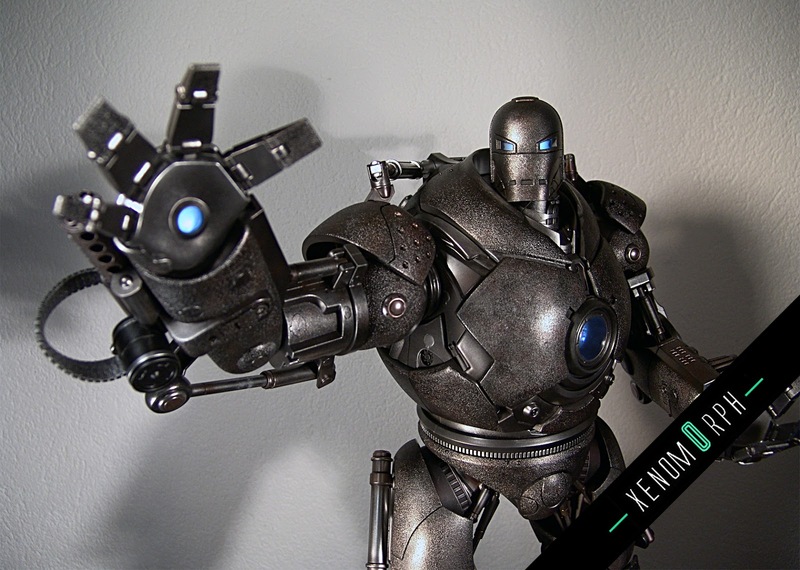 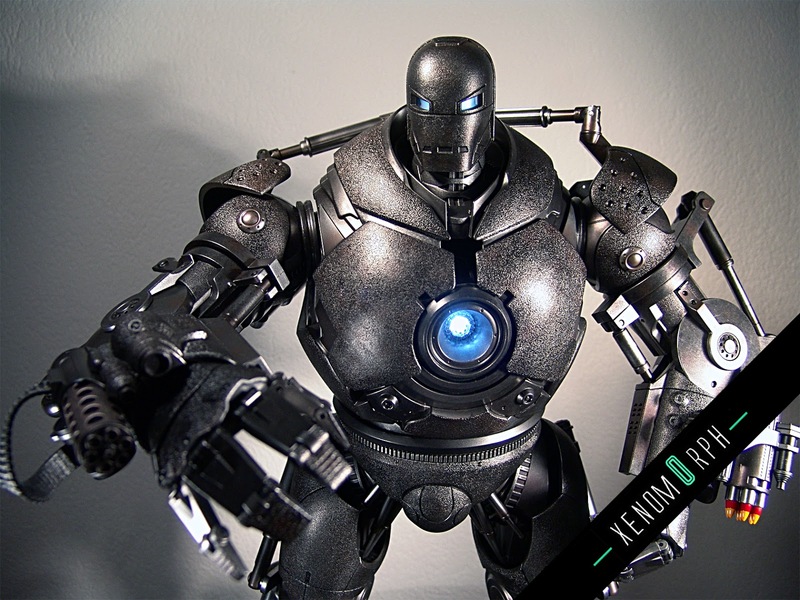 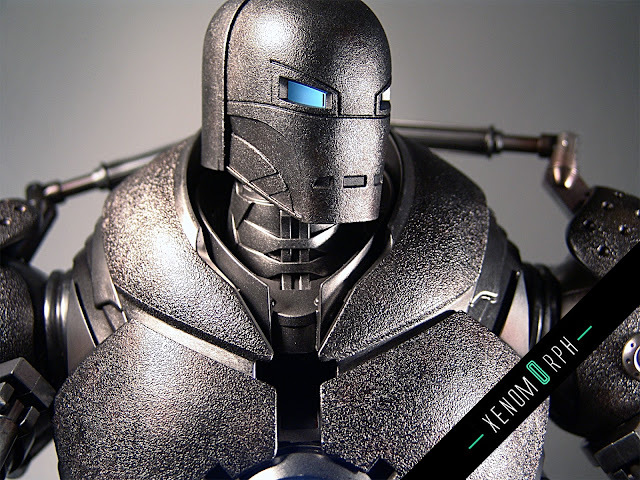 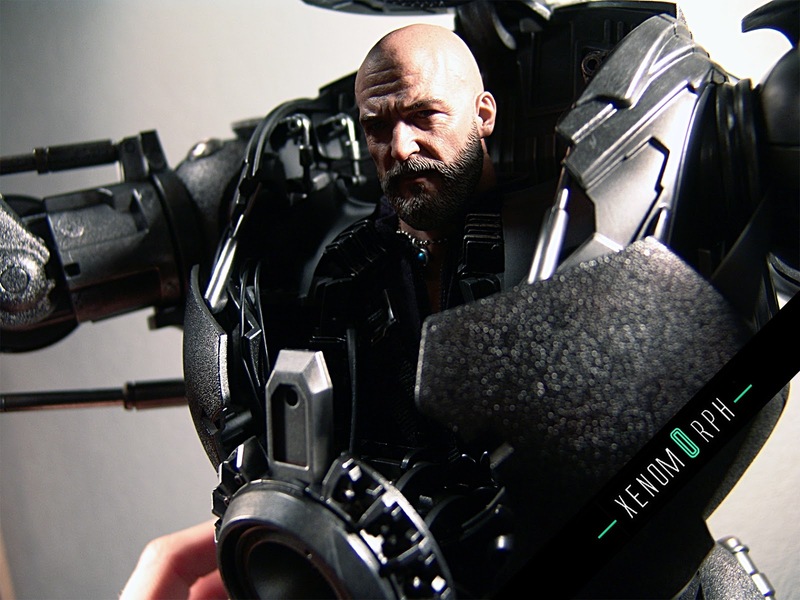 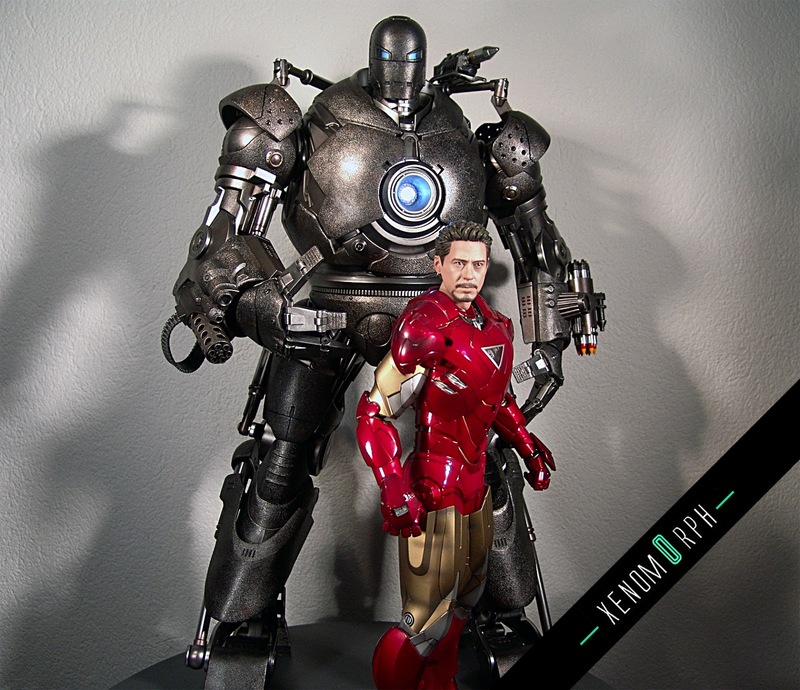 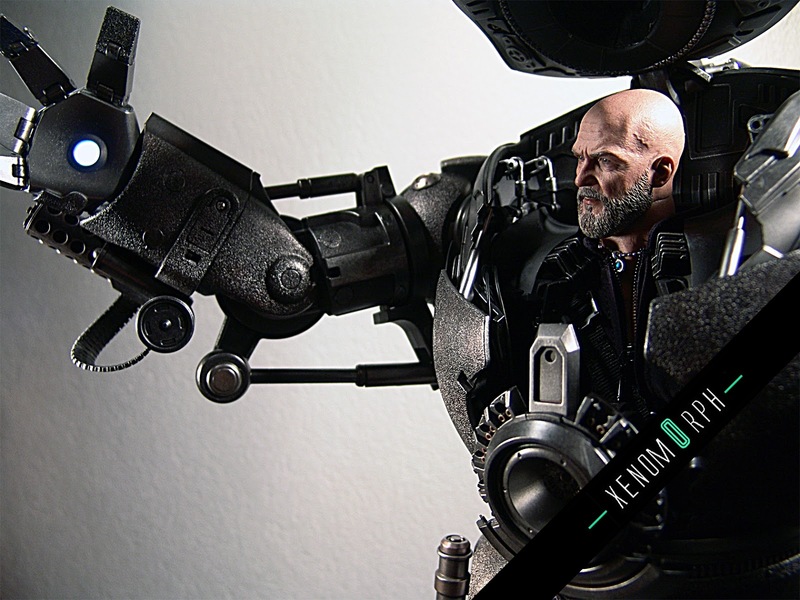 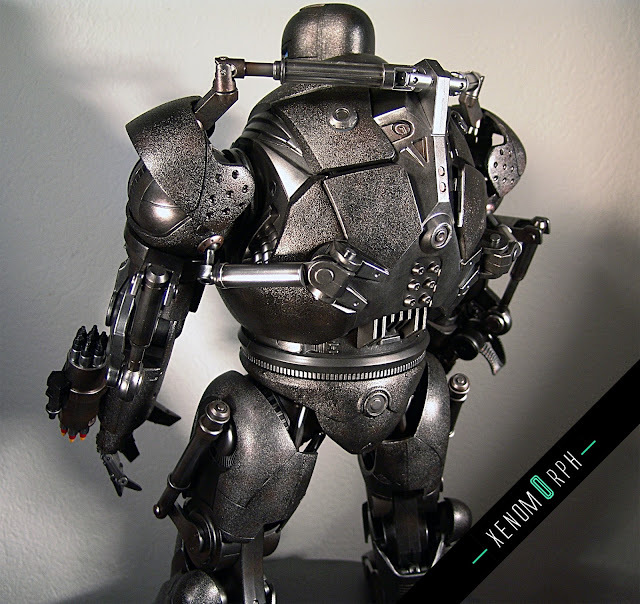 This Iron Monger by Hot Toys is a mechanical beast. 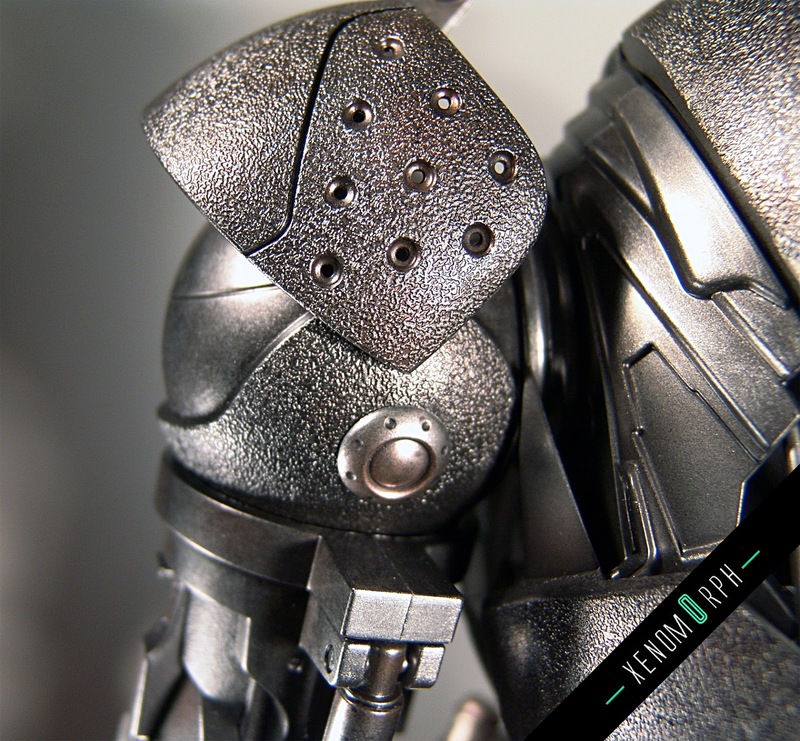 My conclusion on the figure you'll find right after the jump. 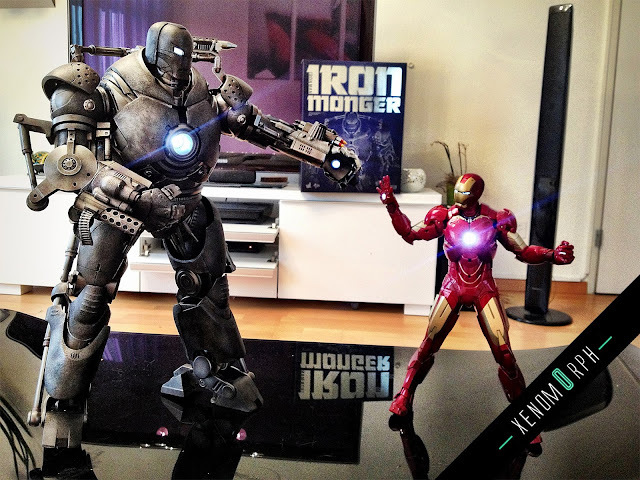 Incredible size: The monger is almost double the size of a HT Iron man figure. You can extend the feet a bit to get him even some more height. I'm definately happy with the outcome and never was sure if Hot Toys could pull this off correctly - but they did! 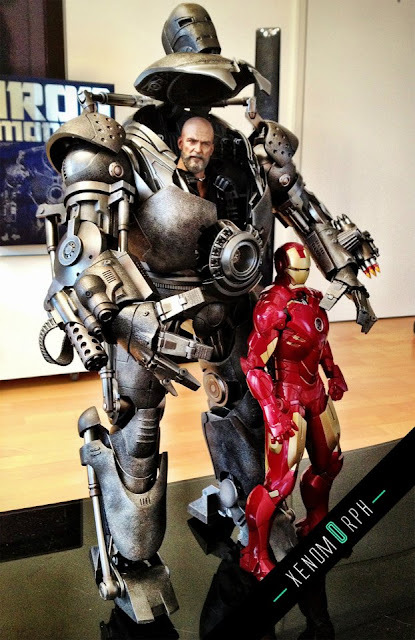 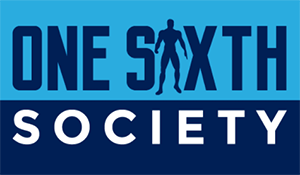 The proportion of Jeff Bridges 1/6 figure in relation to the Iron Monger is correct, however, Hot Toys should have pushed his head higher up so that his head would fit into the Monger's head. 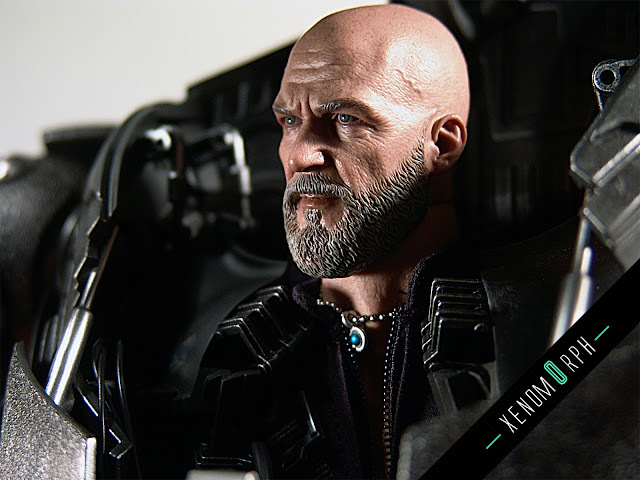 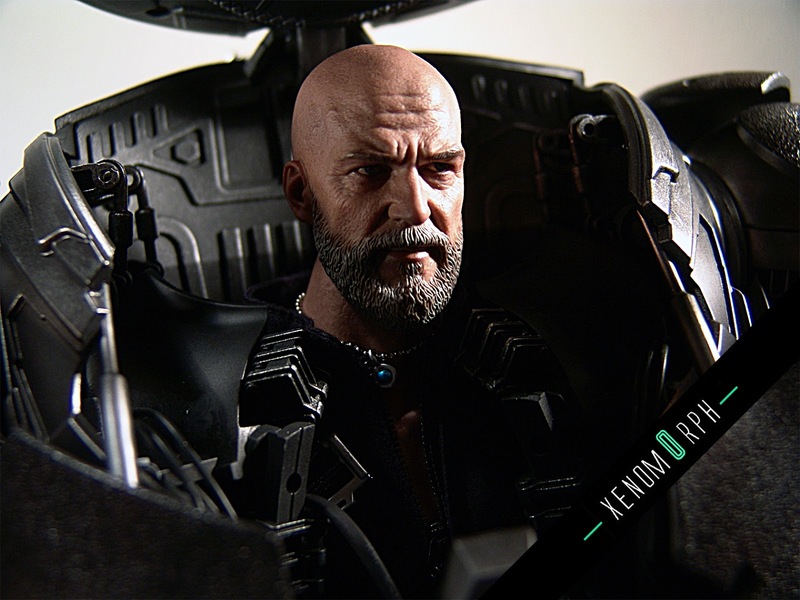 The reason hot Toys position his head lower is due to the fact that they need to light up the Monger's eyes with a LED which is located inside the head.